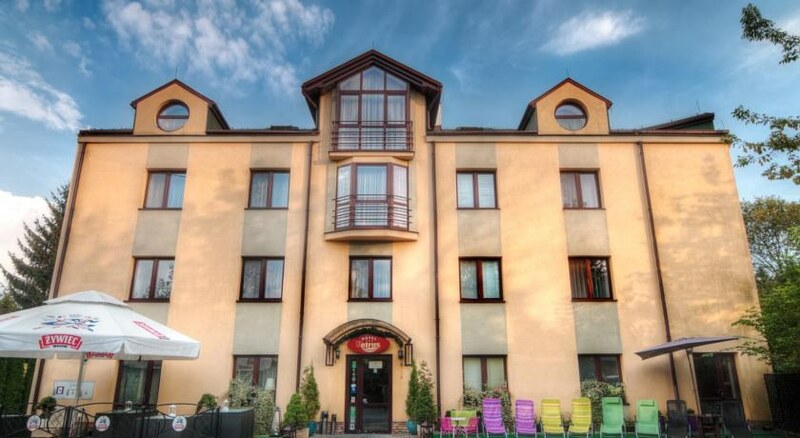 Located in a quiet area by the SkaÅ‚y Twardowskiego Park, but only 10 minutes away from the lively centre of Cracow, this hotel offers convenient accommodation for travellers visiting the city for both business and pleasure. Cracow's Old Town is only a few minutes from the hotel, where guests can visit the Main Market Square and the Wawel Royal Castle. The hotel offers an airport shuttle to Balice International airport, easily accessible by the A4 Motorway.The rooms at the Petrus hotel are comfortable and classically decorated, fully equipped to make guests feel like at home. They can sit at the cosy lounge, enjoying a drink by the crackling fire and taste Polish specialties at the hotel's restaurant. During summer, guests can use the outdoor barbecue facilities and have a drink at the beer garden. There are also meeting rooms and banqueting facilities available.